Many loyalty vendors offer a shared rewards network where customers can shop at various retailers across the state/province, or even throughout the country. Customers earn and redeem points at participating merchants. The more retailers that join this type of program, the more attractive it looks to customers. This sounds great but there are some disadvantages to these shared loyalty programs across unlimited retailers where the customer is often loyal to the program, but not to each retailer. You have no control over which merchants participate in the shared loyalty program. If you own a bakery in a small town and share a coalition rewards program with two other bakery shops down the street, what incentive do customers have to visit? They’re going to earn points no matter which bakery they choose so they may not perceive any added value at your location. If there’s no added value, does it make sense to offer a rewards program at all? Solution: Standalone loyalty programs allow you to incentives customers for shopping with your business. You’re not paying for a program where your customers can earn discounts at your competitors. Implementing your own customer loyalty program allows you to customize exactly how you want to reward your customers, providing you with a greater degree of control. 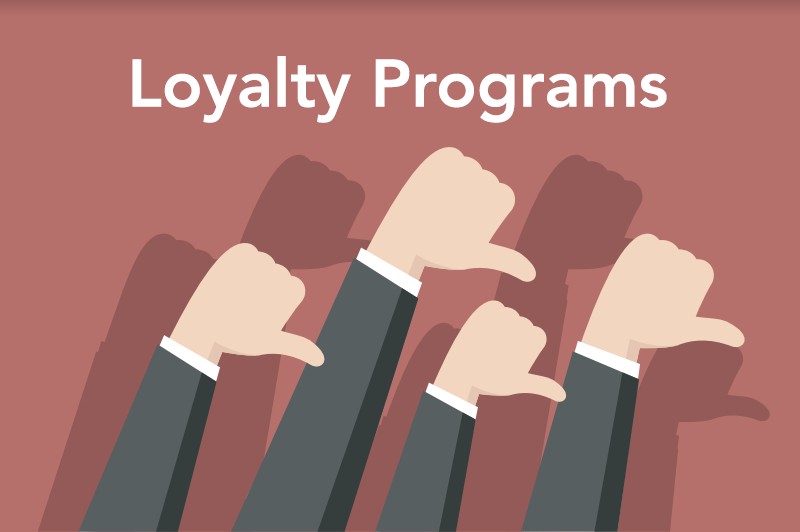 So far we have considered only one side of customer loyalty programs, However, there are some disadvantages of these programs too. Most of these programs are managed by third-party companies, which keep track of customer’s points, their private information such as date of birth, phone number, address, etc. Somehow I feel that our privacy is not being given the proper importance as these companies are tracking all of our movements such as where we shop, what we shop, and other spending habits. Our information is shared with third parties to do surveys, to promote their products and for various other reasons. Today we are living in an age of cybercrime, which is a very important factor when it comes to our privacy. If a hacker hacks these companies loyalty program systems, all of our information might go into wrong hands and can have drastic consequences. The other disadvantage of such programs is to lure people to spend more money in the store by making them collect extra loyalty points or rewards. In this scenario, consumers are actually spending most of their disposable income just to collect few extra reward points. Loyalty cards are like a temptation for consumers to spend their disposable income. The fact is that they increase the price of a product and then give the portion of that towards reward points. Ultimately it is the consumer who is paying more from his/her pocket. Once you get into such schemes, it’s never easy to get out of them. It is like a trap where one gets caught just because of few extra rupees they earn. The decision of enrolling into these loyalty programs is not easy as we have to see our needs and desires. It depends upon what type of card or programs we are looking at such as travel rewards, cash backs or air miles. So what do you think? Am I being too Scrooge-like in advocating restraint with loyalty discounts? What other ways can you show gratitude to customers aside from discounts? I’d love to hear your thoughts.